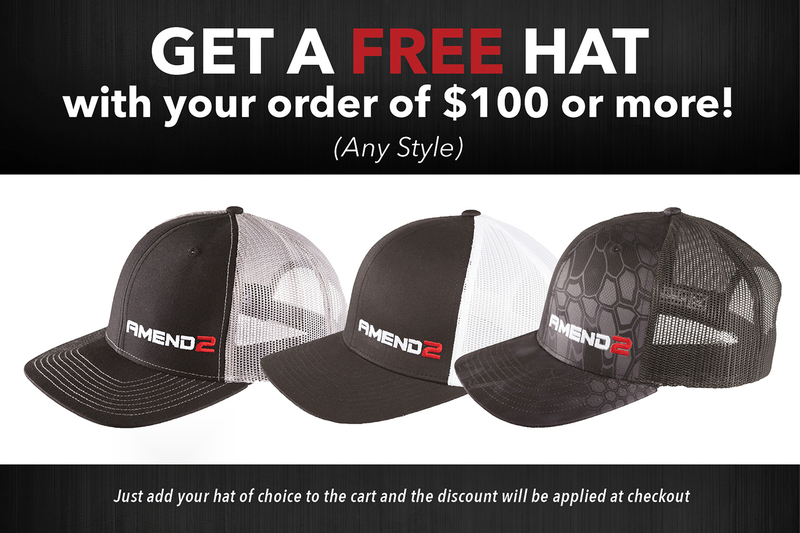 Get a free Amend2® hat when you spend over $100. Simply add the hat of your choice to the shopping cart and discount will be applied at checkout. 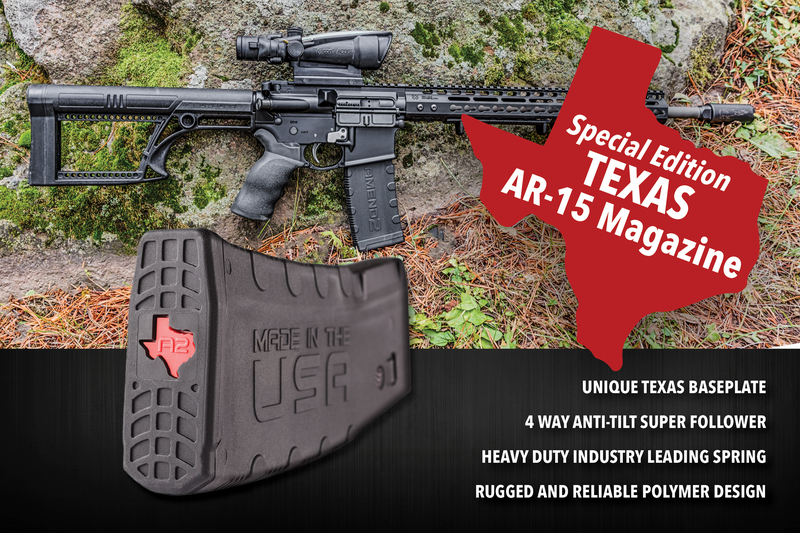 Special Edition Amend2 30 round Texas Magazine made for the National Rifle Association show in Dallas, Texas in May of 2018. Unique Texas style inner and base plate. Inner plate and base plate can be swapped for any Mod-2 Model magazines including 10 and 20 round body styles. 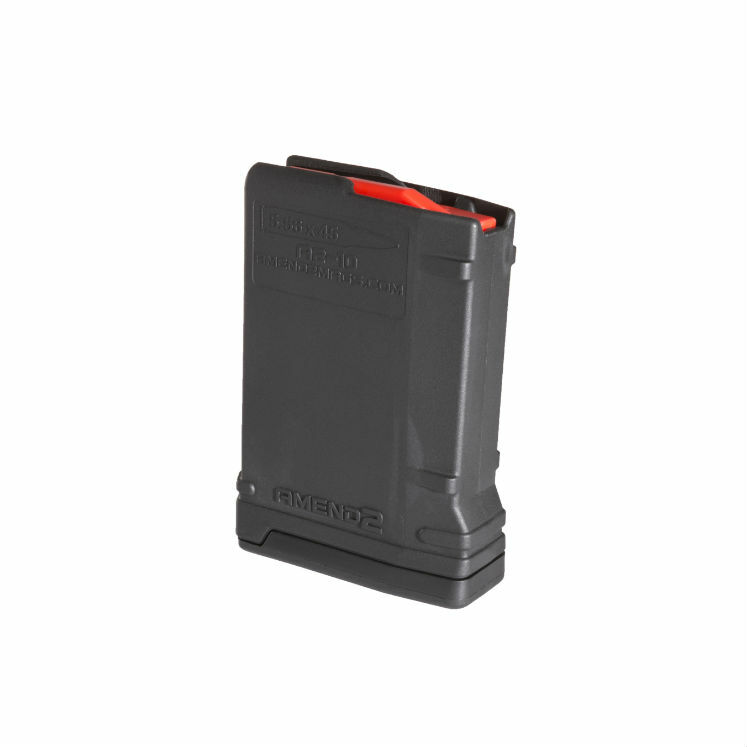 The Amend2® Pistol magazines are a sturdy, reliable magazines made of advance polymer material. 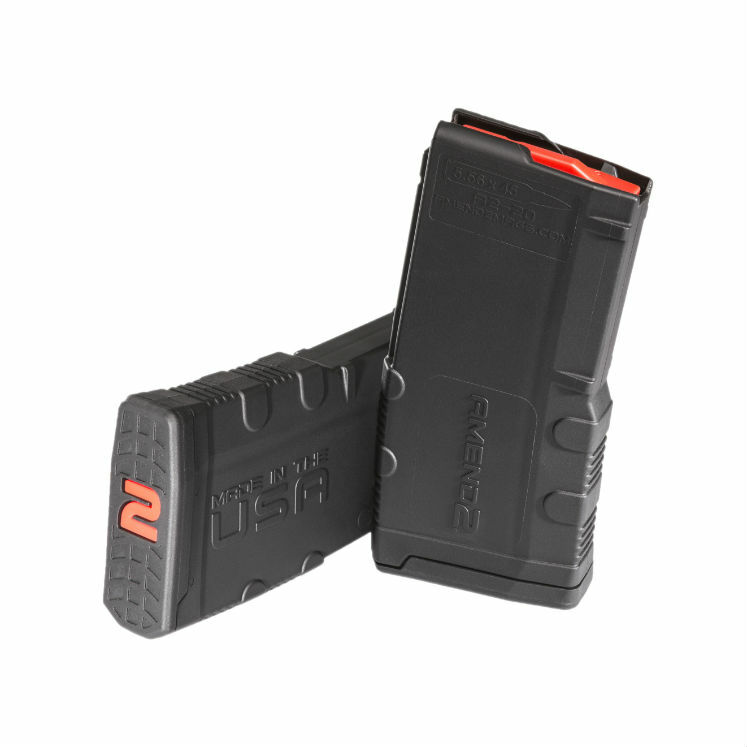 They are a light, durable and excellent alternative to the standard GLOCK® OEM magazines. 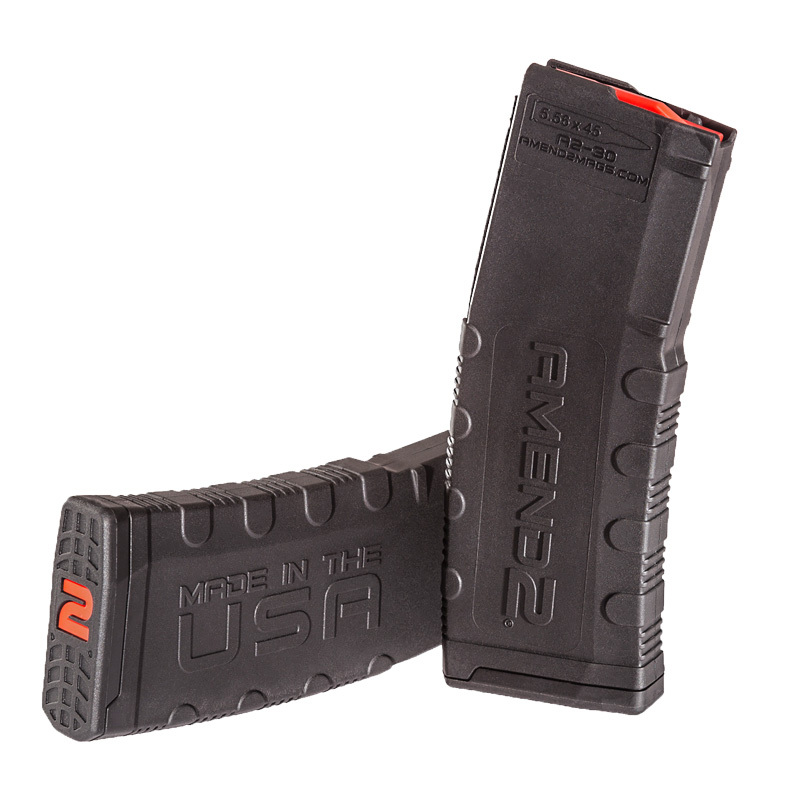 These magazines have Amend2®’s unique baseplate to truly make it one of a kind. Designed for use in GLOCK® 17,19,22,23,31,32,42 and 43 platforms. Not all polymer magazines are created equal and Amend2® AR-15 magazines are here to prove that. Our new sleeker design keeps the industry leading toughness we are known for while adding positive texture for better grip. This will give the shooter exactly what is needed regardless of the application. 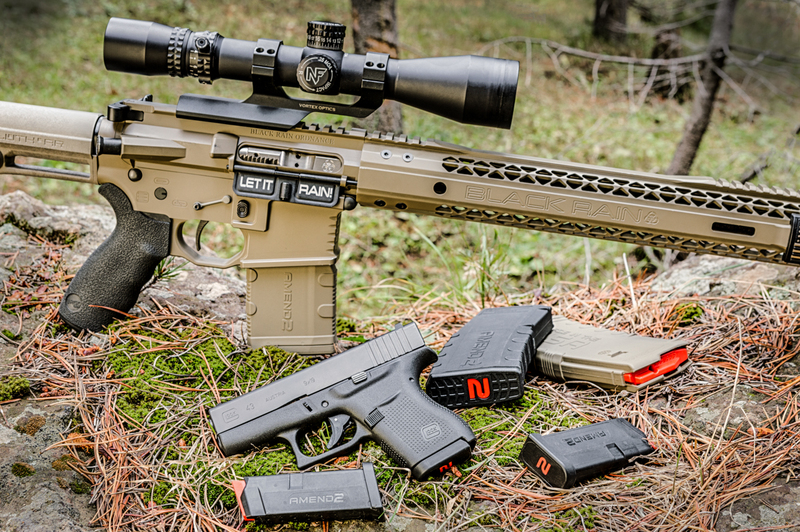 Our magazines are designed and manufactured by Patriots with American parts, pride and on American soil. We are excited to offer free shipping on all purchases greater than $50.00. Any orders less than that will have a flat rate charge of $9.99. See our FAQ's for more shipping details. New sleeker design than our Mod-1 version while maintaining rugged durability for flawless functioning in all applications. The new Mod-2 Model in our 20 round magazine is ideal for added maneuverability and weapon handling. The 10 round body is perfect for bench or prone shooting. It also is a legal option for those in States that have capacity restrictions. Consumers place great significance on the quality of American production. This creates and maintains jobs in the States, keeping US dollars circulating in the country and decreasing dependence on foreign imports. A recent study found that 65% of shoppers prefer buying American goods and many understand how this is directly related to creating jobs and strengthening our country's financial system. 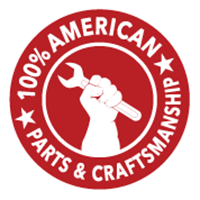 At Amend2 our products are proudly made with American labor, parts, and craftsmanship. Copyright © 2019 Amend2 Magazines. Handcrafted by Manwaring Web.